Make the most of your year-end gift! Join ArtsWest for a romping good time as we toast the holiday season – and our annual campaign – during our star-studded winter fundraising extravaganza! 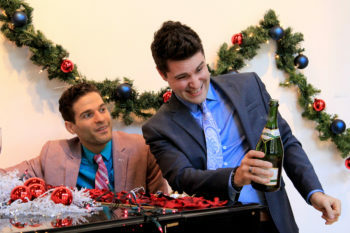 Delight in an exclusive performance of the ArtsWest Holiday Cast Party with host Mathew Wright, Music Director Chris DiStefano, and special guests. Try your luck with our 50/50 raffle. Raffle tickets can be purchased as part of your ticket package or at the event with Star Dollars. Buy a guess with your Star Dollars to see if you know how many wine corks are in the jar! Whoever’s guess is closest to the correct number of corks will win a selection of delectable wines. Purchase this special currency ahead of time or night of the event and use it throughout the evening to purchase additional raffle tickets, win wine, and more! Get serenaded by an ArtsWest Star with a song written just for you during the show by beating out competing bidders. Pie an ArtsWest staff member in the face during the show by outbidding your competition! *Raffle tickets & Star Dollars will be distributed to guests upon check-in. Star Dollars can be used throughout the evening for various fundraising activities. *Additional Star Dollars will be available for purchase the evening of the event. 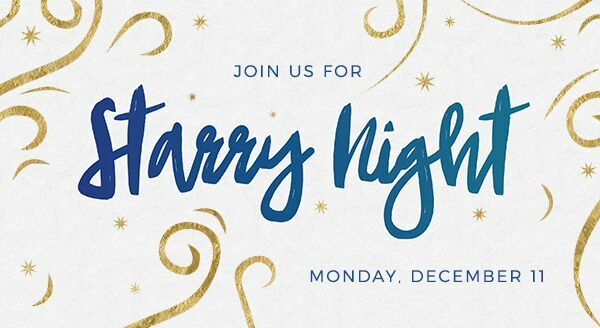 *Opportunities to donate by credit card, cash, or check will also be available during the Starry Night Fundraiser. *Fair Market Value of the Silver Package, Gold Package, and Platinum Package is $50.